It is impossible to convey the myriad emotions experienced during such a fun trip to such a interesting place, but I hope my posts have given you a little taste of what we did this spring break. 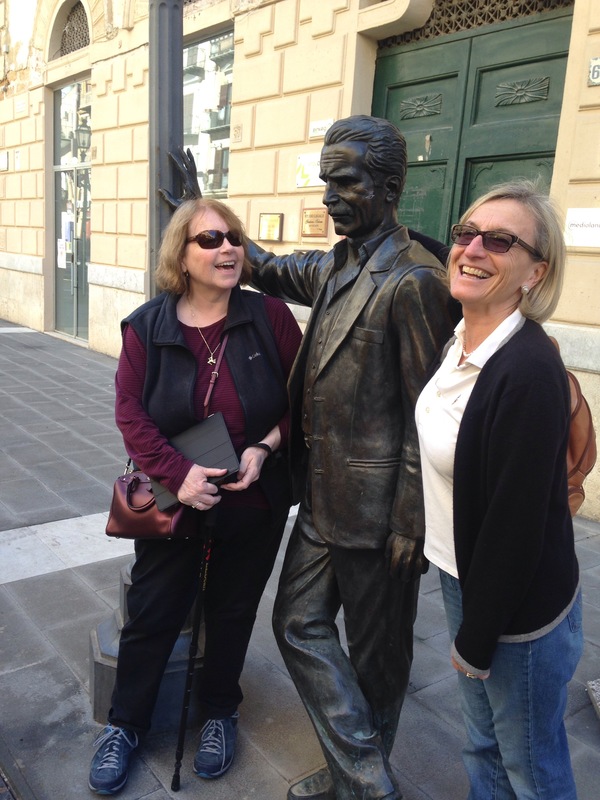 Thanks to my sweet, sweet classmates, my brilliant professors, and everyone at Bowdoin and in Italy who helped in the planning of il nostro vero viaggio. 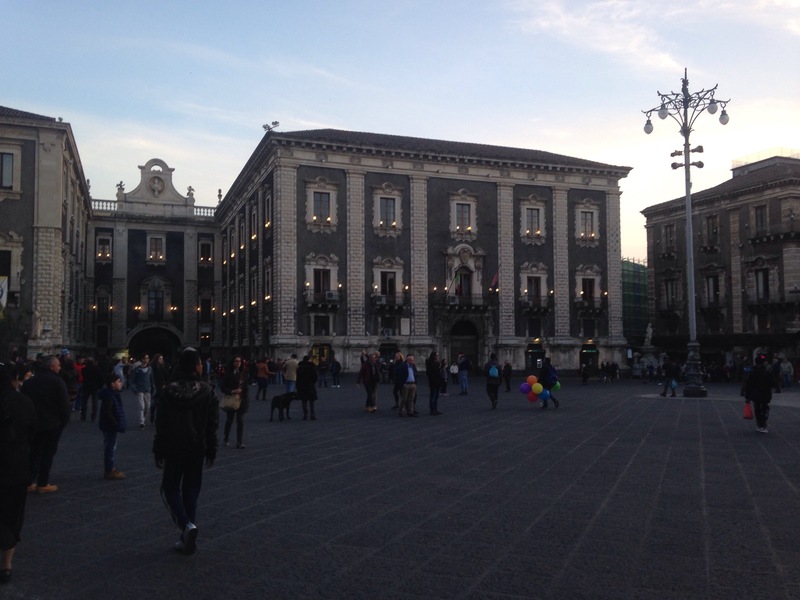 My last photo is of the main piazza in Catania, which I found aesthetically and psychically fascinating. I loved Siracusa. 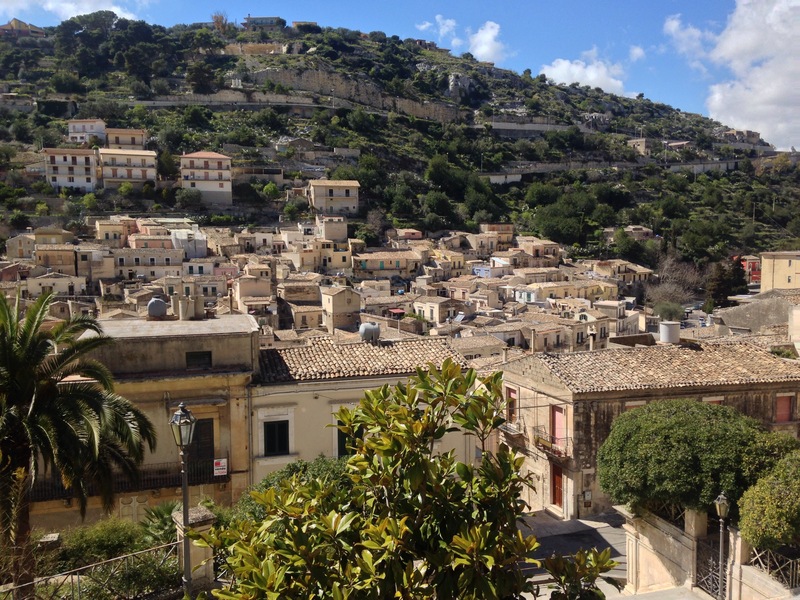 For many reasons, it’s very different from the image I had of Sicily before our grand tour. On a whole, Siracusa was definitely the most charming and romantic place we visited. I could talk for hours just about the almond-shaped piazza, but I’ll spare you. It’s not the best photo, but I hope the almond is at least suggested. 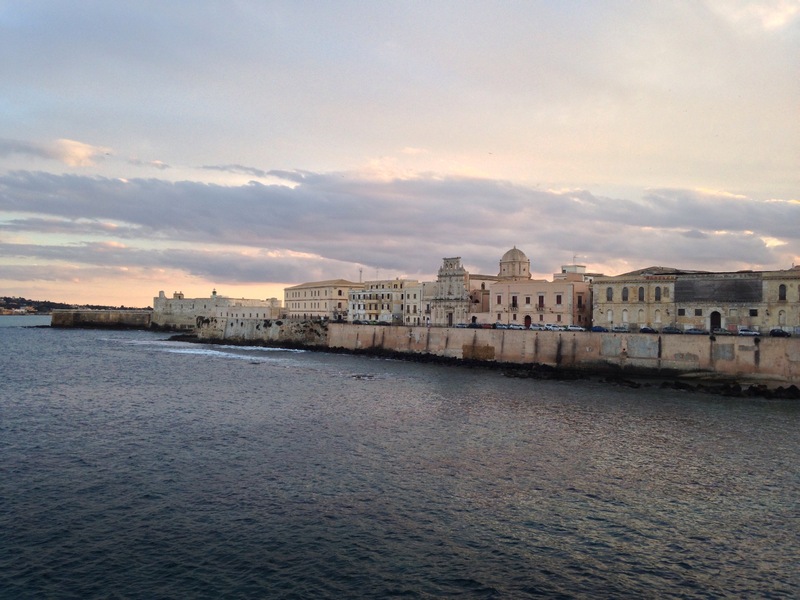 Most spiritual moment in Siracusa goes to my cathartic sunset run along the sea on Ortigia (the historic island that the city stretches out over), during 90% of which I listened to “When We Were Young” by Adele. Day 6 was, for me, the most joyful day, mainly because of how capricious and varied it was. 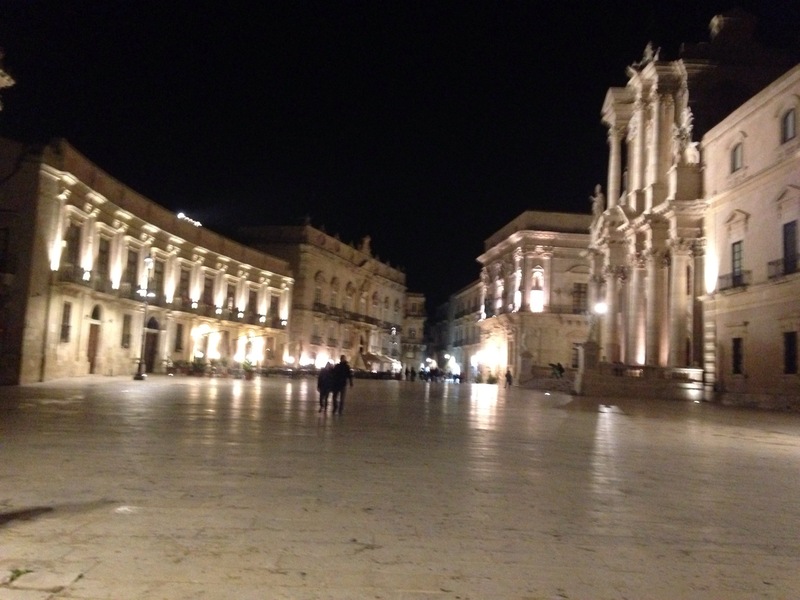 After departing from Ragusa, we skipped around from town to town with the loose objective of making it to Siracusa that evening. 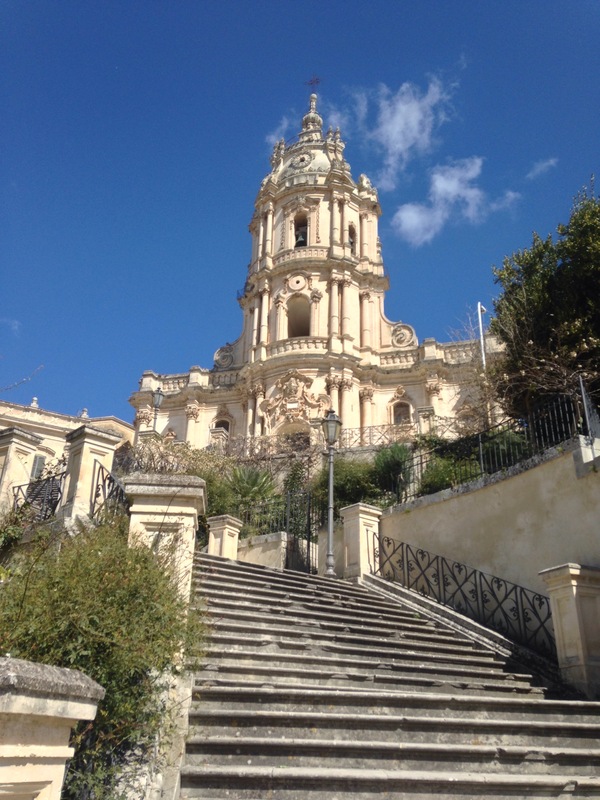 Here’s a photo of the cathedral in Modica, which kind of lords over a series of stairways and switchbacks that lead you through the town’s hilly streets and into its center. After getting off the bus, my Italian classmates and I, for some reason, sort of wordlessly raced up the hundreds (?) of stairs to the amazing baroque church, which had the most fantastic view of green hills and sunbaked homes. Towards the end of our evening in Racalmuto, where Leonardo Sciascia grew up, we ran into a jolly man who wanted to show us around town. 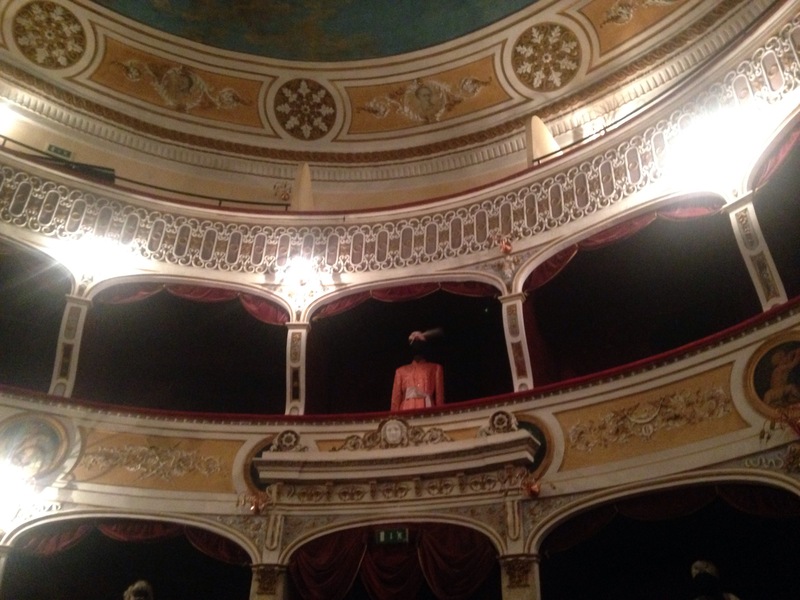 He graciously let us into the Teatro comunale, a cultural center where, partially thanks to Sciascia, many major performers toured, even though Racalmuto is a small place. The circular theater was adorable — the picture does it no justice — and the boxes that surrounded us displayed flamboyant costumes that belonged to a prominent local tenor. But this was a nice visit because Ghibgli and I were coaxed into singing onstage, which was a lovely experience. At first, I was like, “non penso proprio,” but then I realized it might be fun.